Public performance Saturday, October 8 at 11am as part of RDT’s Ring Around the Rose. Fourth annual Free Elementary School Tour October 10-November 18. Tickets will be available at the door. 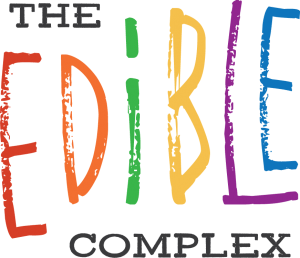 Created for grades 4-6 (but truly accessible to children of any age), THE EDIBLE COMPLEX is a comedy about ten-year-old Anna, who dreams of being a chef. She is also becoming aware of how her body is different from others at school. So, one day she decides to stop eating, but it’s hard to ignore your Food when it starts talking to you! Featuring Anne Louise Brings and Dee-Dee Darby-Duffin, designed by Aaron Swenson, directed by Cheryl Ann Cluff. From the author of PILOT PROGRAM. Funded in part by the National Endowment for the Arts. Check out our free Script-In-Hand Series! Melissa Leilani Larson (Playwright) returns to Plan-B, where her play PILOT PROGRAM premiered in 2015. Other recent productions include PRIDE AND PREJUDICE (BYU), MARTYRS’ CROSSING (Edinburgh Fringe), LITTLE HAPPY SECRETS (SLAC’s Fearless Fringe). Current projects: JANE AND EMMA (Clearstone Productions), EAST OF THE SUN (workshop, Nautilus Music Theatre), SWEETHEART COME (2016 O’Neill National Playwrights Conference semi-finalist). Film: FREETOWN (2015 Ghana Movie Award, Best Screenplay). Dramatists Guild ambassador for Utah, MFA from Iowa Playwrights Workshop. Anne Louise Brings (Anna) spent most of her adolescence as a nanny and nursery school assistant trying to get children to eat their veggies. She is familiar with the range of body and food insecurities children experience, many of which she has experienced herself. THE EDIBLE COMPLEX is her second world premiere with Plan-B following BOOKSMART last season. Since graduating from Westminster College with a BFA in Theatre Performance two years ago, she has worked non-stop as an actor. Cheryl Cluff (Director) co-founded Plan-B in 1991 and has served as Managing Director since 1995. She has also provided sound design for nearly every Plan-B production since 2001. Cheryl has directed every episode of RADIO HOUR since 2005 as well as MESA VERDE, THE SCARLET LETTER, SUFFRAGE, 3, CHRISTMAS WITH MISFITS and BASED ON A TRUE STORY for Plan-B. Dee-Dee Darby-Duffin (Mom/Food) kept a drawer full of food when she worked as an elementary teacher to ensure each of her students had at least one good meal a day. Now an educational coach, she trains K-12 teachers on effective classroom management strategies, focusing on an understanding of the Trivium and specializing in Direct Instruction Pedagogy. THE EDIBLE COMPLEX is her fourth world premiere with Plan-B, following THE THIRD CROSSING, NOTHING PERSONAL and MAMA. When not training teachers or acting, she performs her cabaret show TO BILLIE & ELLA WITH LOVE. Aaron Swenson (Costumes) has previously designed the second revival of HEDWIG AND THE ANGRY INCH and BOOKSMART for Plan-B Theatre. Other credits include THE ROCKY HORROR SHOW and TWO DOLLAR BILL (PTC, where he was Head of Wardrobe and Crafts for the past 8 seasons), GEOGRAPHY CLUB and AVENUE Q (University of Utah), ASSASSINS, tick…tick…BOOM!, and THE GREAT AMERICAN TRAILER PARK MUSICAL (Dark Horse); TWELFTH NIGHT and YOU’RE A GOOD MAN, CHARLIE BROWN (Salt Lake Shakespeare). Suggested reading: “The Best Part of Me: Children Talk About Their Bodies in Pictures” by Wendy Ewald. THE EDIBLE COMPLEX includes ten foods as characters that playwright Melissa Leilani Larson likes an awful lot. Yes, the Food acts too. She we asked her to tell us why! Subscriptions are $53 and include ONE BIG UNION by Debora Threedy, VIRTUE by Tim Slover and NOT ONE DROP by Morag Shepherd. 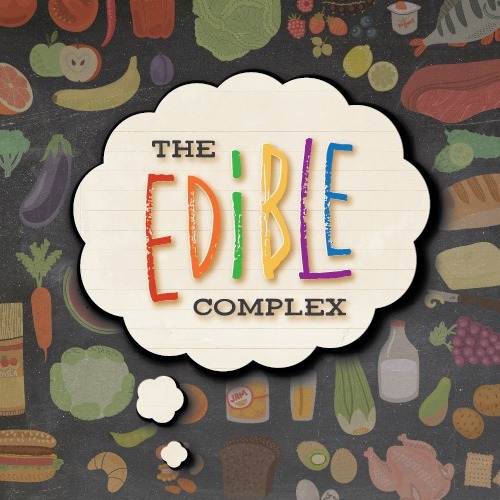 THE EDIBLE COMPLEX by Melissa Leilani Larson is available as an add-on for $6.